Two of my most amazing friends, Brad and Leah (who happen to be getting married in January) had already planned on asking Allison to be their flower girl! So when they read the post below, of course they knew it was going to make her day! Yesterday was the big day for them to ask and with wide eyes…she said, "Yeah!" shared a dream of hers. 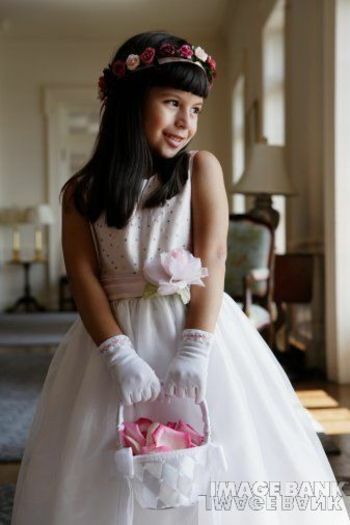 I forget that while I’m dreaming of someday being a bride, there are little girls dreaming of being flower girls. My 5-year-old friend, Allison, shared with me that she really wants to be a flower girl someday. And as I feel like the closer I get to being 30, the less chance I have of getting married, Allison seems to feel like the closer she gets to being 7, the less chance she has of being a flower girl. Men and boys don’t understand that these are the fears that plague women and little girls. So I replied, "What if I just ask you to promise to pray for me everyday to find the right man? That can be part of the deal! And you can still be my flower girl." She agreed that was a deal, and we shook on it.